1.1 Thank you for visiting our website (the Site). These Terms explain how you may use this Site. 1.2	References in these Terms to the Site includes all associated web pages. 2.1	The Site is for your personal use only. 2.2	You agree that you are solely responsible for any costs and expenses you may incur in relation to your use of the Site. 2.3	We seek to make the Site as accessible as possible. 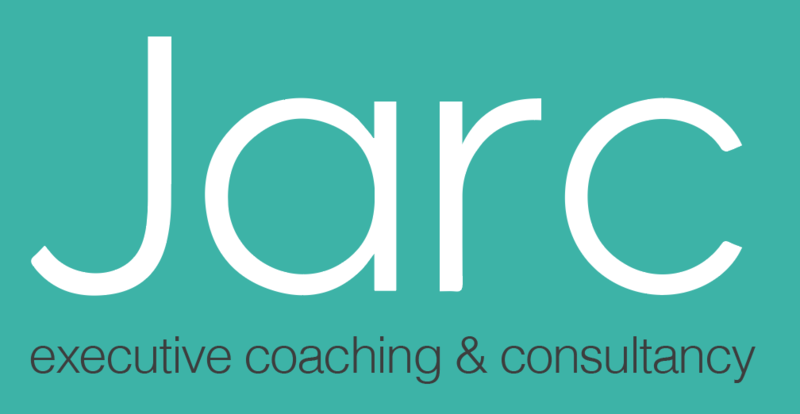 If you have any difficulties using the Site, please contact us at info@jarc.co.uk. 2.4	We may prevent or suspend your access to the Site if you do not comply with any part of these Terms, any terms or policies to which they refer or any applicable law. 3.1	This Site and all intellectual property rights in it including but not limited to any Content are owned by Jarc Ltd. Intellectual property rights means rights such as: copyright, trademarks, domain names, design rights, database rights, patents and all other intellectual property rights of any kind whether or not they are registered or unregistered (anywhere in the world). We reserve all of our rights in any intellectual property in connection with these Terms. This means, for example, that we remain owner of them and free to use them as we see fit. 3.2	Nothing in these Terms grants you any legal rights in the Site other than as necessary to enable you to access the Site. 4.1	While we try to make sure that the Site is secure, we cannot guarantee the security of any information that you supply to us and therefore we cannot guarantee that it will be kept confidential. For that reason, you should not submit to the Site any information that you regard as confidential, commercially sensitive or valuable. 4.2 We may use any Submissions as we see reasonably fit on a free-of-charge basis. We shall not be legally responsible to you or anybody else for any use of Submissions. 5.1	While we try to make sure that the Site is accurate, up-to-date and free from bugs, we cannot promise that it will be. Furthermore, we cannot promise that the Site will be fit or suitable for any purpose. Any reliance that you may place on the information on this Site is at your own risk. 5.2	We may suspend or terminate operation of the Site at any time as we see fit. 5.3	Content is provided for your general information purposes only and to inform you about us and our products and news, features, services and other websites that may be of interest. It does not constitute technical, financial or legal advice or any other type of advice and should not be relied on for any purposes. 5.4	While we try to make sure that the Site is available for your use, we do not promise that the Site is available at all times nor do we promise the uninterrupted use by you of the Site. 7.1.11	not to attempt to circumvent password or user authentication methods. 8.1	We may make interactive services available on the Site, for example areas where you can comment on Content. 8.2	We are not obliged to monitor or moderate Submissions to our interactive services. Where we do monitor or moderate Submissions we shall indicate how this is performed and who should be contacted in relation to any Submission of concern to you. 8.3	We may remove or edit any Submissions to any of our interactive services whether they are moderated or not. 8.4	Any Submission you make must comply with our Submission standards set out below. 9.1.6	unlikely to cause offence, embarrassment or annoyance to others. 10.1.4	is placed on a website that itself does not meet the acceptable use requirements of this Policy. 10.2	We reserve the right to require you to immediately remove any link to the Site at any time, and you shall immediately comply with any request by us to remove any such link. 11.1	You may not use our trademarks, logos or trade names except in accordance with these Terms. 12.1 We shall apply these Terms in our absolute discretion. In the event of your breach of the Terms we may terminate or suspend your use of the Site, remove or edit Submissions, disclose Submissions to law enforcement authorities or take any action we consider necessary to remedy the breach. No changes to these Terms are valid or have any effect unless agreed by us in writing. We reserve the right to vary these Terms from time to time. Our updated terms will be displayed on the Site ab by continuing to use and access the Site following such changes, you agree to be bound by any variation made by us. It is your responsibility to check these Terms from time to time to verify such variations. 15.1	We shall try to resolve any disputes with you quickly and efficiently. 15.2	If you are unhappy with us please contact us as soon as possible to let us know. 15.3	If you want to take court proceedings, courts of England and Wales will have exclusive jurisdiction in relation to these Terms. 15.4	The laws of England and Wales will apply to these Terms. In today’s demanding business environment many executives are too busy (and sometimes stressed) to make time for themselves to learn from their experiences and think at a deeper level to enable them to advance towards specific personal and professional goals with regards to development and performance. © Copyright 2018 Jarc Ltd.